This experiential (and often life-transforming) workshop is ideal for personal development and anyone interested in running a Laughter Yoga group (certification upon completion of workshop). A combination of positive psychology and how to access unconditional laughter is taught, to give participants valuable tools for every day life. 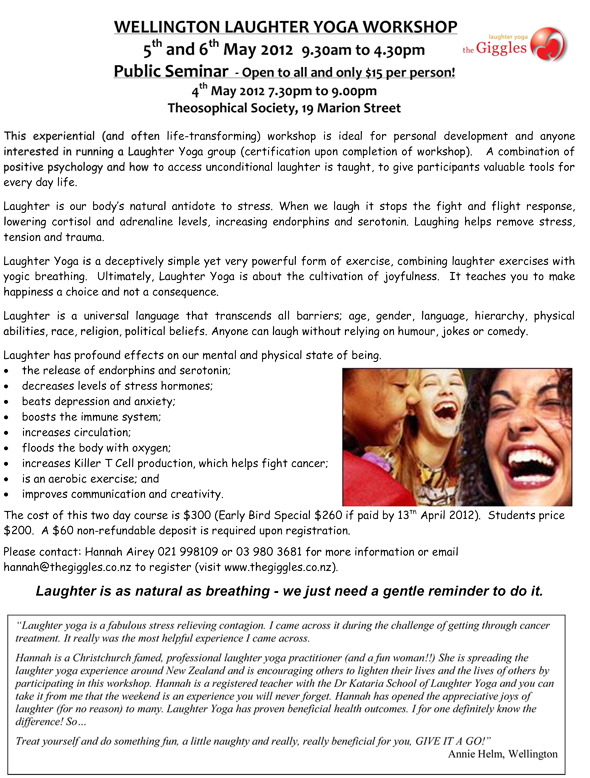 Laughter Yoga is a deceptively simple yet very powerful form of exercise, combining laughter exercises with yogic breathing. Ultimately, Laughter teaches you to make happiness a choice and not a consequence. Laughter has profound physiological and psychological benefits. 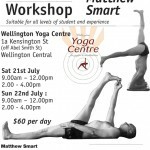 Wellington Yoga Workshop. March 2-3. Iyengar trained experienced teacher is returning to Wellington by popular demand. You can come to any session of four. Focus on finding your personal path to the feeling of bliss from working the body through standing, inverted, backbends and restorative asana. 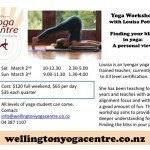 A weekend workshop with Louisa Potter at the Wellington Yoga Centre on June 2nd and 3rd. Release grief & anxiety from the heart, to live with more freedom. Learn to work the ‘organs of action’, our arms & legs, to stimulate, strengthen and support our inner organs.